The term butcher's wax applies to a product used to coat the surface of butcher-block countertops, cutting boards and butcher-block covered work islands, and also to a series of products originally developed by Charles Butcher, a woodworker who built wood floors. He developed several paste-wax floor finishing products to protect his craftsmanship, which soon became his sole business. A craftsman in the 1880s, Charles Butcher installed inlaid parquetry wood floors in the homes of the well-to-do in Boston. He developed individual products as wood finishes composed of micro-crystalline and carnauba waxes mixed with the softening characteristics of mineral spirits to cover the wood floors, including the amber-colored Boston Polish wax and clear Bowling Alley Wax. The company was sold to Johnson Professional Wax in 2000, which did away with the line, but not before BWC bought the rights to sell the products under their original name. These paste waxes have a variety of uses, ranging from wood furnishings, marble, plaster, copper, metalwork and bronze sculptures. Paste waxes offer a final finish coat on fine furnishings and even on some types of hardwood floors, especially high-quality hardwood floors. 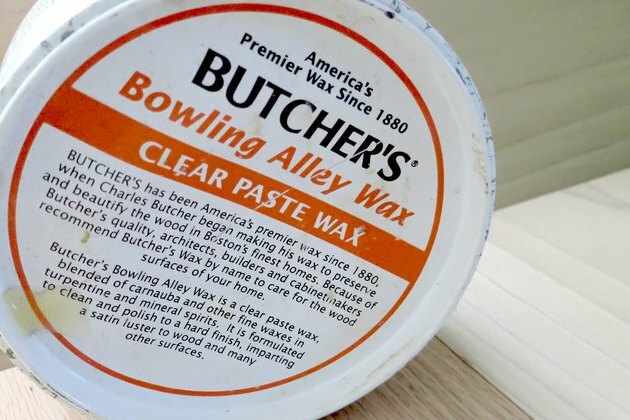 Some woodworker's prefer Butcher's paste wax for final finishes on handmade wood cabinetry, furniture and tables. 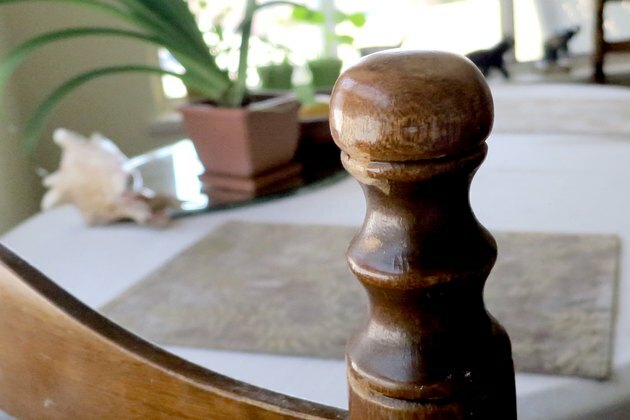 The finish is worked into the wood by rubbing it by hand in circular motions. 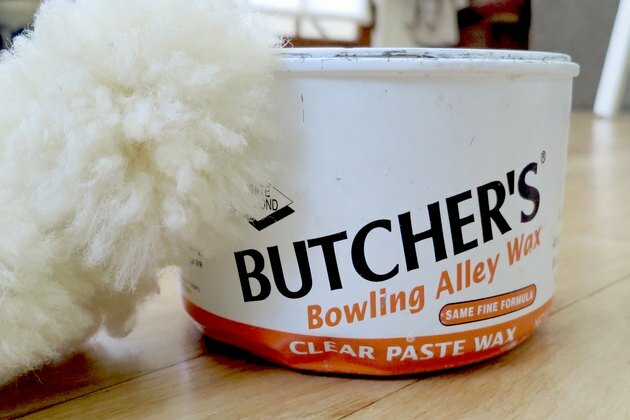 As Butcher's Bowling Alley Wax product's name implies, the paste wax provides a smooth, clear finish for the inlaid wood lanes in bowling alleys. The New England Brown product is the same as the Bowling Alley Wax product, only with a brown tint suitable to darker woods such as walnut and mahogany, painted surfaces and even metals. 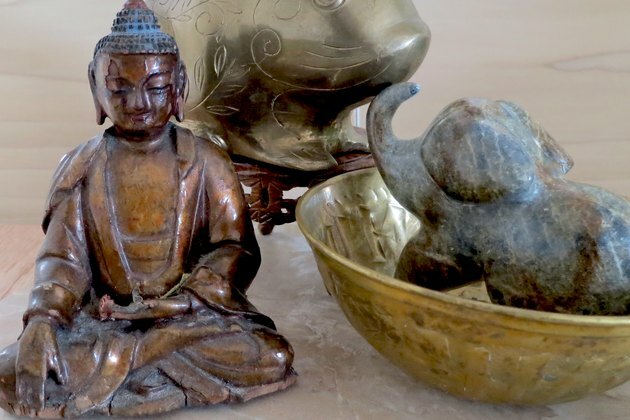 Artists and even the U.S. government use a version of Butcher's paste wax to coat outdoor bronze sculptures and bronze or metal architectural embellishments coated with an acrylic resin overlay. The government provides specific procedures as to how to care for these items by applying the paste wax at least annually to preserve the life of the acrylic coating. Butcher's wax also works on musical instruments, leather and antiques. 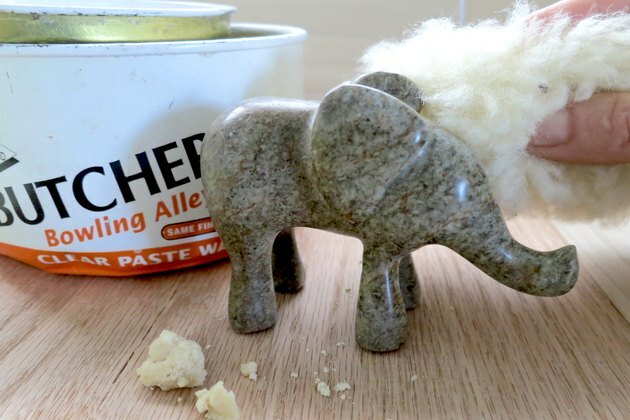 Butcher's clear paste wax is also applied as the final finish over Venetian plaster to help it retain its glazed appearance, give it a good sheen and provide a seal-coat finish over it. The paste wax is also used as a final coating for marble to prevent etching that can occur on its soft, porous surface. The paste wax creates a finish coat that must be applied regularly. When kept waxed, the finish beads water or other liquids on its surface, protecting the material beneath.